CAMPAIGNERS determined to remedy ‘profoundly serious’ traffic fears have denied pulling a ‘minor stunt’ by storming out of a meeting with Havant Borough Council. Leader Michael Wilson made the comment after members of The Hayling Island Infrastructure Advisory Group walked out of the Public Service Plaza on Wednesday. The authority launched the group in January 2017 to engage with the community on infrastructure issues amid concerns sparked by plans for hundreds of new island homes. Its 12 resident members have previously been denied a say on parameters for a simulation of Hayling’s arterial A3023, but were allegedly promised a month to scrutinise its results before presenting a response at their next meeting. However, they were presented with the survey’s findings on Wednesday – just six days before the Local Plan was set to be published by the council – staging a walk-out. He added: ‘The representatives are appalled by HBC’s intent to direct the committee into recognition of an A3023 traffic analysis which has been completed in secrecy – without any involvement of the committee which was set up two years ago specifically for this purpose. ‘The result of this analysis, which has taken 750 days, magically seems to say a housing growth forecast of double the previous allocation on the island is well within the capability of the singe-access route. The advisory group is made up of councillors and 12 residents, who claim they were promised training sessions to understand the A3023 simulation in April, 2018. But the residents, who all walked out on Wednesday, say despite repeated requests such workshops have not materialised. 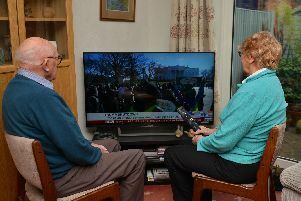 Anne Skennerton, chairwoman of the Hayling Island Residents’ Association, said she and her fellow advisory group members have been ‘thoroughly disrespected’. Member Mike Owens has now called on HBC's new chief executive Gill Kneller to delay a vote to pass the Local Plan, scheduled for January 30. ‘Your personal intervention is crucial,’ he said in an email. Cllr Wilson, who is also the chairman of the Hayling Island Infrastructure Advisory Group, told The News he was ‘disappointed’ by the walk-out – which he maintained was a ‘minor stunt’. ‘Councillors were briefed on the results on Monday, January 14 – it was simply not possible to provide the information any sooner than we did,’ he said. Cllr Wilson said ‘terms of reference’ when the group was set up did not ‘actively refer’ to residents being involved in carrying out surveys, but instead providing feedback on them. He continued: ‘There was also thousands of pounds of public money spent to put on the meeting on January 16. Members of the advisory group will have the opportunity to make representations to full council on January 30, when councillors vote whether or not to pass the Local Plan. A pre-submission version of the document – set to outline a need for thousands of new homes across the borough – will be released on Tuesday.